This bestselling finishing powder is the ultimate complexion filter that blurs, smooths and perfects skin for a soft-focus finish. Formulated with micron-size, color correcting particles, each powder captures and diffuses harsh light to reveal a healthy glow from within. Designed to be the last step in your complexion routine to give skin an instant photo-filter finish. Each powder performs like a real life photo-filter by giving skin natural luminosity, blurring the appearance of skin imperfections, pores and fine lines. The ultimate skin savior, this all over powder revives dull, lackluster skin by providing a subtle, soft-focus glow even in harsh, unforgiving light. Formulated with "Photoluminescent Technology"  micron-size, color-correcting particles that diffuse harsh surrounding light and create transparent coverage to emulate a youthful radiance. Talc-free formula transforms the complexion by creating a smooth, even canvas in preparation for bronzer, blush and highlighter. Photoluminescent Technology: The optically transparent particles alter the appearance of the skin by manipulating and refracting favorable light. The result is skin that looks smooth, even, and enhanced  not masked. The soft-focus technology helps to minimize the look of wrinkles and imperfections, neutralize discoloration, and emulate the appearance of young, healthy skin. This is not a highlighter. This is a finishing powder that is to be used as the last step in your complexion routine (after foundation, concealer and setting powder). Use the Ambient® Powder Brush and dust Ambient® Lighting Powder all over the face. ETHEREAL LIGHT: A sheer, cool white powder that mimics a moonlit glow. DIFFUSED LIGHT: A soft, warm, pale yellow powder that conceals redness and gives skin clarity. 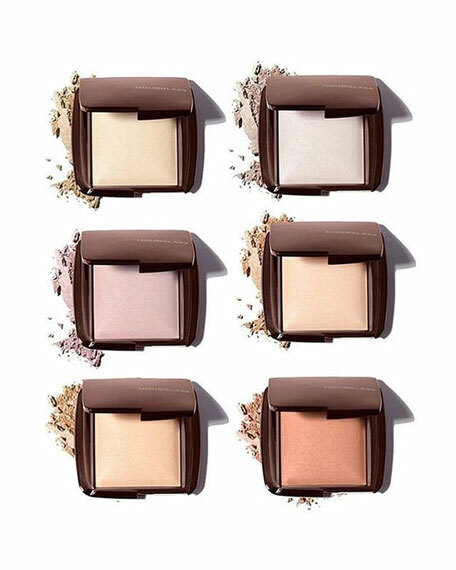 DIM LIGHT: A neutral beige powder that blurs imperfections. MOOD LIGHT: A soft, sheer lavender pink powder that brightens a dull complexion. LUMINOUS LIGHT: A champagne pearl powder that creates a soft, candlelit glow. RADIANT LIGHT: A sun-kissed golden beige that enhances skin with believable, subtle warmth.